Are you depressed about your body? Have you been working out and dieting for years and nothing is still happening aside from a two-pound loss? Maybe you are a victim of false beliefs. 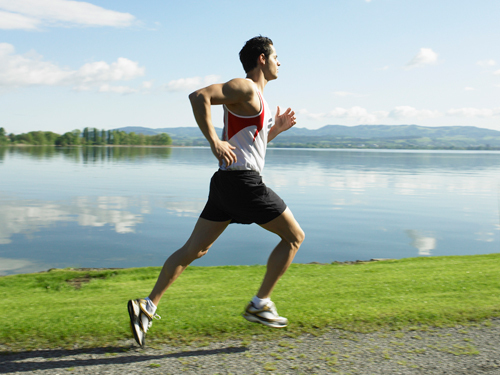 Running can be an overall workout but it does not mean that it increases your muscle mass. Since running only workouts the lower part of the body, muscles in the legs and thighs are strengthened. The upper body muscles do not gain enough intensity to build muscles. This is a big no-no when training. Yes, it will slightly help with the fat burning but it can increase the risk of injuries. As much as possible, cardio exercise should be done without any weights. Workouts can stress the bust muscles resulting to a painful bounce. But actually, sport bras adds support to the breasts decreasing the risk of sagging. It will keep your chest firmer while eliminating the pain. The truth is, frozen fruits have more nutrients than fresh fruits. The latter are stored for a couple of days before it is delivered in the supermarkets decreasing its freshness. On the other hand, frozen fruits are chilled at the peak of their freshness and will be preserved until it is consumed. Crunches, Sit-ups and AB Workouts only tones the abdominal muscles but it does not remove them. If you have a big belly and you want it removed, you should first do full body workouts like cardio exercises. Running could be a good exercise. After you have lost weight and your belly became a little bit smaller, you can already do some toning exercises. Some people say that water can help with losing weight. This is actually not true. Water will only cleanse your body from toxins but it does not remove fat. Your repeated visit to the comfort room can keep you busy and will make you forget hunger. Stretching is a good exercise in the muscles but doing it before training will restrict your muscles from doing intense workouts. A good and proper warm up is best before workouts. Stretching can be done after training. This will increase flexibility and relieve soreness. Exclusive vegetarian diet does not guarantee a loss in weight. It is also not a healthy one because you are removing a certain food group out of your system. Even if you can have veggie meat, it cannot substitute the protein content of animal meat. Sometimes, because of desperation, you tend to do all the things they tell you about dieting and fitness. Actually, they are just myths. Practice the proper diet and fitness program. Do not ever do these 8 Most Popular Fitness and Diet Myths. Are you aware that you may have bad fitness habits you should break? Some dieters and fitness enthusiasts including beginners may have them. Some people are aware of these habits while others have no clue that they are actually injuring their body in the process. That is in spite of all they have done to regain and maintain a healthy weight. Some dieters may have been skipping meals even during days when they need to report to the gym. All of that is done in the name of fast weight loss. Some people believe that doing this will help them burn more calories and body. The fact is that there is really very little to no evidence to support that theory. In order to burn calories and reduce body fat the body needs fuel. You get that fuel by eating a balanced diet. This is a mistake usually committed by beginners. There are those who may be too enthusiastic about pumping iron at the gym that they forget to warm up and do some stretches. Stretching helps prevent muscle tears and worse kind of injuries. It also helps you get a better range of motion (i.e. it makes your exercises more efficient). Stretching should be mandatory both before and after any workout at the gym. It helps hard working folks who have been sitting in the office for hours to prepare their muscles. This is one phase of any weight training that has been proven by clinical studies time and again. This bad habit is not included in this list to make gym owners get more money. The fact is that people have a hundred reasons why they want to skip going to the gym. Some people say they’re too tired while others make up some other lame excuse not to go to the gym. This usually happens when you’re new; you’ll get over it if you don’t let your excuses get the best of you. Working opposing muscles gives your body some balance. You can’t go on strengthening your six-pack without working on your back. You can’t grow your biceps without allowing your triceps. Working on opposing muscles makes your workouts more efficient in the end. With all the fashionable water bottles everyone is carrying in the gym, you sometimes wonder why some people would fail to drink water while working out. But it happens. Remember that you lose a lot of water when you sweat. Drinking water in the gym should be a natural response. People naturally get hungry after working out. Eating something after some exercise is actually a pretty good thing. Everyone works up an appetite after some hard work. However, you should still watch what you eat especially after doing some pretty intense exercises at the gym. You don’t want to waste all that hard work. Avoid eating non-nutritious meals after a workout. Some gym enthusiasts bring along their favorite protein drink so they could have something to soothe their appetites without getting a guilt trip. That basically wraps up this list of bad fitness habits you should break. What you will find below are the top 10 gadgets for gym workouts. These high-tech tools provide training assistance and performance monitoring. They also come in a variety of shapes and in varying prices. 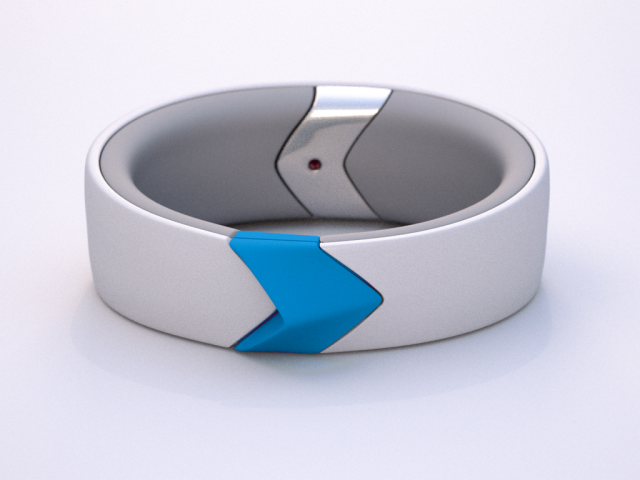 This small band you can wear around your wrist tracks your movements while you have it on. It is equipped with motion sensors and it can even count the number of steps you make. 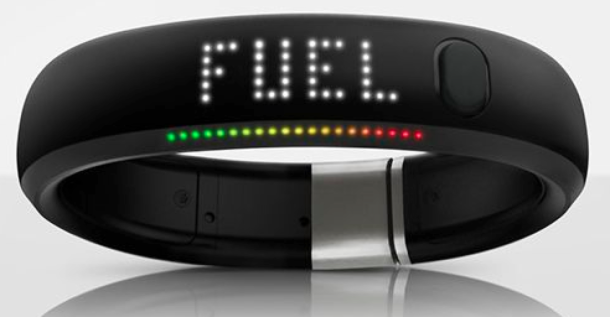 All the movementsyou make are converted to Nike fuel points. This nifty little gadget can be worn as a bracelet and as a pendant, too. Like the previous gadget on this list, it too is an activity tracker. The other good news is that it is waterproof, which means you can take it to the pool or the beach and still track your workout’s progress. Music enlivens the weary soul especially if you’re sweating hard after the first round of workouts in the gym. This pair of ear plugs never sacrifices sound quality. It’s really comfortable to wear and you will get concert quality and disco-like music in your ears. This little gadget can be used indoors and outdoors. You can keep it in the fanny pack around your waste. It makes use of the kinetic energy you produce while you exercise. The energy it collects can be used to power your other gadgets. Need a way to track your perfusion index, heart rate, pulse, and blood oxygen levels? Then the ISpO2 Pulse Oximeter is the one for the job. It does all that and it even displays the report on any iOS device. The Polar Rcx3 can be used indoors and outdoors. Inside the gym, it can be used as an activity tracker and it reports your overall performance. Outside the gym it can be used to track your route, your current running speed, and the distance you still need to travel. If you really need this product, hrmreview give you a lot of good reviews. Everyone needs a drink after a workout at the gym. This bottle also works as a shaker that you can use to prepare your protein mix. The Umoro One does a wonderful job even if you’re having a hard to mix formula. Note that the Jawbone UP is a bit cheaper than the Jawbone UP24. Both of these are step and calorie trackers. They come in intriguing colors plus wireless sync capability. This is the last item in our list of top 10 gadgets for gymworkouts. It’s the gadget that people should bring in case they feel lazy in any given day. It signals (well, more of forces) the wearer to make 10,000 steps. At least you get the most out of your day at the gym even though all you ever did was spend time at the treadmill. The list below shows the top 10 best fat burning exercises at home.These are exercises that can be done by anyone at the comfort of their own homes. Note that they require minimal equipment if any. Jumping jacks really deserve to be on the top of any list. For one thing, it’s very easy to do. It also does not require any other piece of home exercise equipment. All you need is a little body coordination. There is a reason why jump rope exercises are a staple for boxers. You don’t have to wonder why many boxers remain fit. The only bit of exercise equipment you need is a jump rope. It’s a fairly inexpensive piece of equipment. It may take some practice before you can do what boxers are doing. Do take note though that you don’t really need to jump so high to let the rope pass beneath your feet. All you need is a slight skip and a hop. The hardest part of jumping rope is to keep your rhythm. You’ll get your rhythm after some practice. Start slowly and try to build the pace as you get the hang of it. Pushups are foundational exercises that build upper body strength and muscle mass. You can’t go any further in other fat burning exercises without strength and conditioning. If you have a hard time doing pushups on the floor then try leaning against a workout bench instead. Once you feel that you’re strong enough then go back doing pushups on the floor. Remember not to pop your elbows out. Tuck them in as close to your torso. When you go down, your arms should form a 90 degree angle (or something close to that) and concentrate all the effort in your chest muscles and arms as well. Some men might not like the idea of hula hooping. However, this exercise burns 300 calories every 30 minutes. That should be enough incentive for anyone to try it. This is sometimes a form of punishment for some. This exercise mainly focuses on your core muscles, thighs, hips, and entire lower body. It’s actually one of the high ranking top 10 best fat burning exercises at home. Do this exercise for only two minutes, maximum. This is a challenging exercise for many. This plyometric exercise also helps you build speed. Dancing may not be the best exercise on this list but it deserves to be there. It’s easy to do and it’s fun, which is why it can really help you burn calories. Dance your heart away for 30 minutes and you burn 221 calories right away. Walking can be done indoors and outdoors. If weather isn’t congenial then try walking on a treadmill. Walking for 30 minutes burns a total of 170 calories. It’s one of the safest exercises on this list. Squats target your glutes, hamstrings, and quadriceps. Remember to put your weight on your lower legs and not on your knees. Put the pressure on your legs for best results. This is one of the more advanced exercises in our list of top 10 best fat burning exercises at home. This is known as the grandfather of all exercises. It’s a workout for the latissimus dorsi, the largest muscle group in the human body.